Need to fly fast across the city? Then it would be efficient for you to charter a flight on board the Turbo Commander 690. This aircraft was intended for military use hence it has sturdy features along with the capacity to fly up to over 3,800-kilometers’ worth of distance. The small propeller powered plane also seats up to 10 passengers within a pressurized cabin. Upon chartering for a private flight aboard the Turbo Commander 690, it’s also advisable for you to confirm its interior specifications to ensure you’ll achieve utmost convenience while flying. The Aero Commander Company is known to be the manufacturer of Turbo Commander 690. The plane was first introduced in the 1950s to minimize fire instances over the terrains it flew over by means of spraying fire retardants. The military aircraft’s related functions led to its high winged exterior. Today, it serves as an executive aircraft with the exceptional performance of a short ranged plane. 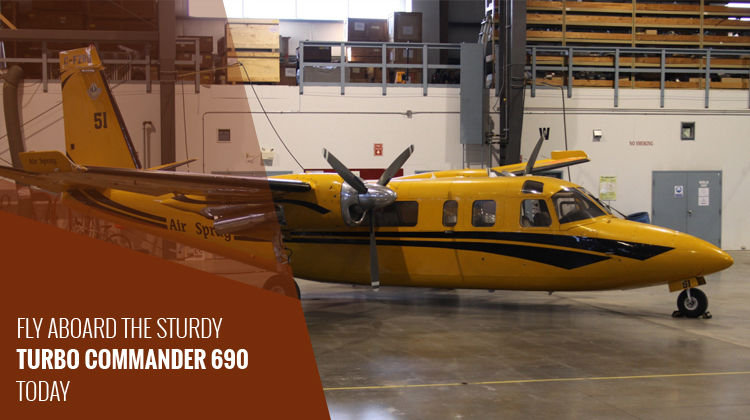 If you’re a no-fuss type of flyer who prefers comfort and practical options for baggage compartments, the Turbo Commander 690 can exactly fit your needs. 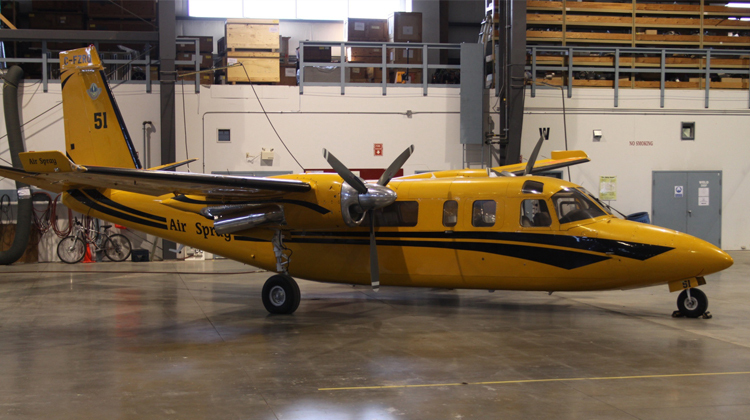 This plane has standard configurations with an 11-meter range and powered with 2 Garrett AirResearch turboprops. Its interiors’ interiors may vary depending on your chosen charter’s customization setup. It would then be advisable for you to confirm your intended flight’s features, so you may further know what to expect on your upcoming flight. As a corporate jet, this plane was further developed by the Douglas Aircraft Company to fit the needs of savvy entrepreneurs. It usually has a club seat layout, so you may still opt to conduct your transactions throughout the flight. If you’re no fan of the frills, you’d also be glad to know how this aircraft can fly you in a cost-effective package. Whether you’re planning to travel from Ontario to Alberta, or to Colorado, the Turbo Commander 690 has powerful mechanism for you to reach your location. You’ll know you’re flying on a highly efficient plane, when it’s operated by air forces from the United States, Vietnam, Belgium, Colombia and Iran. Among short-flight oriented planes, the Turbo Commander 690 has the fastest flying capacity to transport its charter based travelers. As part of the Aero Commander fleet, the Turbo Commander 690 is the 25th generation to have improved wing and 2-engine placements. Numerous improvement stages took place, before this very version has been finalized. Aircraft enthusiasts may see the Turbo Commander as a piece of legacy, as it implemented various functions since its earliest versions’ conceptualization in the 1950s. It witnessed the Second World War and some planes are currently displayed at the Smithsonian Air and Space Museum. At present, the American government approved this aircraft to fly as a business plane. It can also seat up to 2 crew members for more efficient, charter flying sessions. Over a thousand pieces of the Aero Commander series were produced, making it one of the most widely flown planes today.